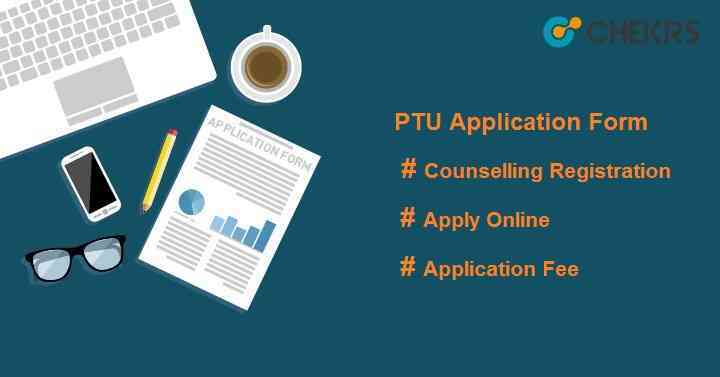 PTU Application Form 2019: Punjab Technical University Common entrance Test (PTU CET 2019) is an entrance exam conducted for candidates who want to take admission into the main campus of IKGPTU or its affiliated colleges for various courses like MBA, MSc, MA etc. PTU also conducts centralized counselling process for some course such as BTech, BArch, MArch, MTech, BPharma, B.Urban Planning, MPharma etc. The official authority will release the PTU CET Application Form in the month of May. Interested candidates can apply online and take the exam. Candidates who want to be part of the counselling procedure will have to pay the counselling fee first and then get registered for the counselling. Here we are sharing all the information related to PTU CET & Counselling Process. Candidate must have passed 10+2 with PCM or PCB stream/ diploma for UG course. Students appearing in 2019 qualifying exam can also apply. Students have to take JEE MAIN exam for BTech and NATA exam for BARCh. For MTech students, GATE score will be required. For MBA/M.Sc./MA, must score minimum required percentile in PTU CET Exam. CMAT score can be considered for MBA only. Click on “Online Application Form. Click Here”. It will move to next page. Click on button “Apply for Admission”. Registration Page will open in new tab. Select course Applied, name, date of birth, mobile no, mail id, login information and then click on submit button. After submitting the registration page, application form will be opened. Select examination center as per your choice. Click on “Final Submit” button. Upload all the scanned documents like photograph, signature. Applicants must upload bank slip/ fee slip/ demand draft/ screenshot of transaction fee, if paid by net banking. Submit the form by clicking on “Submit” button. Pay the registration fee either through online or offline mode. For online mode, applicants can make payment via credit card, debit card or net banking. Applicants can also submit the fee through HDFC challan or can be drawn Demand Draft in favor of Registrar, IKGPTU payable at Jalandhar. Application fee will be non-refundable/non-transferable. Take the print-out of filled application form for future reference. Candidates who will get admission through Centralized Counselling Process can check the steps to fill the registration form here. First click on “Pay Online Counselling Fee”. Fill it with all required details like stream, name, mobile no, date or birth etc. and then submit it. Move to payment page; pay the fee through online payment gateway. Click on “Apply for BTech, BPharma, BArch, MTech, MPharma, MCA, and Lateral Entry Courses. Select courses as per your interest and then click on ‘Go’ button. Enter all asked details in Student Login if counselling fee is already paid and candidates are already registered. Click on Login button. Select the colleges as per your interest. Take the print of choice filled form for future use.